MEMPHIS, TN — A fee to request erasure of a criminal record is now about half of what it was, according to a legislator who wrote a law lowering the cost. 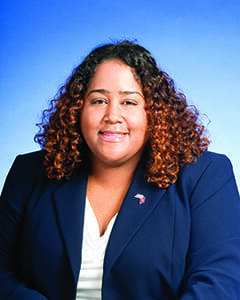 Rep. Raumesh Akbari, D-Memphis, has announced that under the new law, an offender’s cost to petition the court for expungement is now $180 instead of $350. “By reducing part of the financial barrier to expunction,” Akbari said, “more ex-offenders will be able to get their lives back on track; reducing the recidivism rate and strengthening our communities. “People should not be judged for the rest of their lives for the decisions they make on their worst day,” Akbari said shortly after Gov. Bill Haslam signed her bill into law late last month. Expungement is the legal process by which someone’s court record may be erased. It’s important for someone who’s paid their debt to society and wants to erase the record so they may legally say there’s no record of a criminal conviction when answering questions as they apply for employment. Another use of expungement is by people who’ve completed parole and want to regain their rights as citizens to vote and run for elected political office. Restoration of citizenship rights is granted by chancellors. Chancery Court is a court of equity, meaning the jurist rules on what’s equitable — a fair resolution — to civil, not criminal, issues. Restoration of citizenship rights must be preceded by a criminal court judge’s elimination of, or the sealing of, records of criminality that stripped the individual of the right to vote and be a candidate for public office. Nearly 15 years ago, a Franklin man successfully persuaded a Williamson County Circuit Court judge to expunge the court record of his conviction on a felony charge. He then successfully petitioned the Williamson County chancellor to reinstate his citizenship rights. 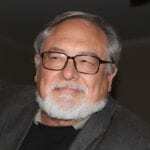 With those issues resolved, he ran for a seat on the Franklin Board of Mayor and Alderman. While he was not elected, he publicly proved to the community that he was interested in living a new life. Akbari’s bill lowering the cost of petitioning a judge for erasure of a conviction was co-sponsored by Sen. Mark Norris. It’s part of a criminal justice reform package spearheaded by the Tennessee Black Caucus of State Legislators, which Rep. Akbari chairs. The new law took effect last month. Akbari passed other expunction bills. One makes it easier for juveniles to get criminal records expunged. Another allows someone with two convictions to get a one-time expunction of both.